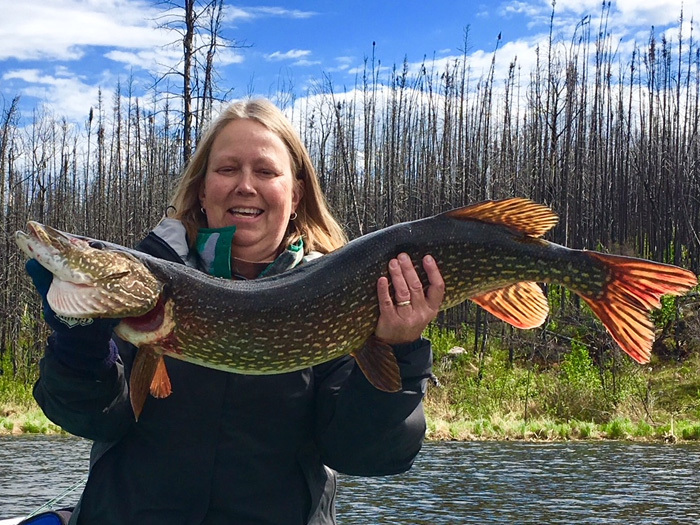 Marly Konstant is Pine Island Resort's 2014 FISHERMAN OF THE YEAR and he also caught the FISH OF THE YEAR, a respectabl...e 46" Northern Pike! Marly started coming up here in 2000 and has made about 25 great trips over the years often returning twice a year or even three! 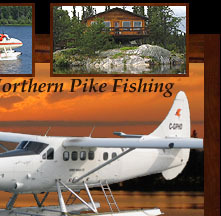 That's a passionate love for fishing, this amazing resort and our incredible north. During those trips Marly has brought up about 200 different people and several of those now come each year with their own groups. He is fondly our referred to as the Mayor of Pine Island and proudly our friend. Congratulations Marly for the well deserved titles of FISHERMAN OF THE YEAR and FISH OF THE YEAR. GROUP OF THE YEAR unanimously goes to BAYER CROP SCIENCE Regina. They are a great bunch of people who love fishing and fun, and we look forward to their arrival each season.